The establishment of local cooperation processes lies at the heart of AREA 21; specifically what motivates public authorities, energy companies, housing associations and residents to participate in energy planning? And what interests and concerns do the different parties bring in the process? A sequence of local workshops in each partner city will identify common goals and strategies for improved energy efficiency at a district level. The first workshop aims at identifying the needs and interests of the local stakeholders in each Energy Improvement District and at defining common energy goals. The workshop was opened by experts from Tartu Regional Agency (TREA), a project partner in AREA 21, who introduced the project’s objectives, planned activities and expected results. A presentation by the project manager Antti Roose provided an overview of the current situation and the planning of residential areas in Tartu, with a focus on the planning of Annelinn District – the largest Tartu City district comprising 140 apartment buildings. Subsequently, civil engineer Kalle Virkus presented on the topic of energy-efficient refurbishment strategies, indoor climate and energy use of apartment buildings. Finally, the energy expert Marten Saareoks illustrated a “before and after” energy cost comparison, based on data from a recently renovated apartment building in the city. The second half of the workshop was dedicated to a discussion about the necessity of comprehensive district-level planning and how important it is to involve residents in all cycles of the renovation process. 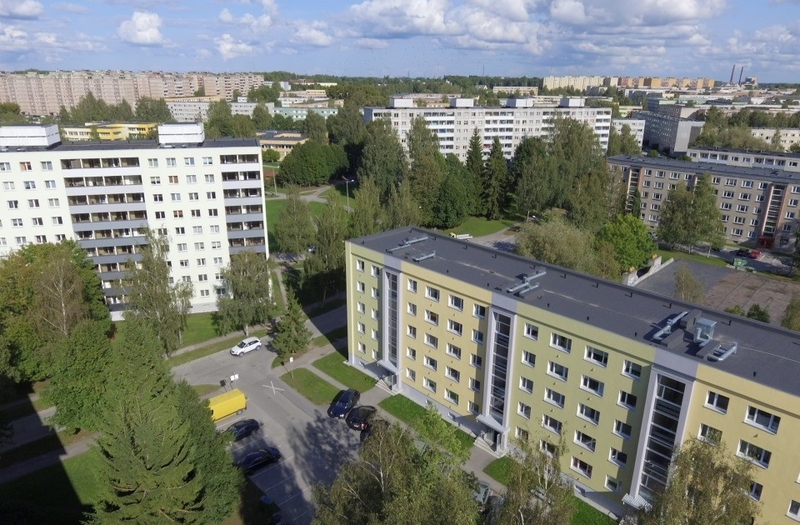 A neighbourhood within the Annelinn District in the city of Tartu was used as the focus of the discussion, which will be developed as an AREA 21 Energy Improvement District. During the workshop, all stakeholders exchanged about the current energy efficiency needs and potentials of the pilot area. Additionally, they learnt from an example of already renovated apartment building with installed roof-mounted PV panels for energy production. An important part of the project activities in Annelinn Energy Improvement District is the development and testing of an innovative online, energy planning and monitoring ICT-Tool. The tool will enable collection and analysis of energy data, and monitoring results will be used to inform apartment building renovation schemes in the District. The online application is currently under development and its first prototype will be available for testing at the beginning of 2019. The workshop highlighted the importance of full renovation of apartment buildings. To date only 12 out of 140 apartment buildings in Annelinn have been thoroughly renovated. Workshop participants supported processes to plan and renovate buildings at a district, building and apartment level, as well as the involvement of building owners, the city government and the state in the process. The improvement of building-level and district-level energy efficiency will contribute to reduced energy consumption, improved comfort for residents and will contribute towards long term climate change mitigation goals. As a next step, the results of the workshop will be evaluated and inform the definition of mutual goals and a strategy for the Energy Improvement District’s development.